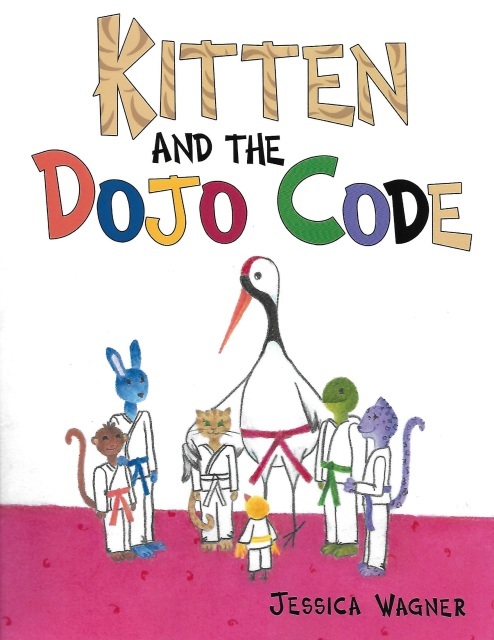 ​Kitten and the Dojo Code revolves around the important principles of karate: modesty, courtesy, integrity, self-control, perseverance, and indomitable spirit. Kitten, who nervously enters the karate school, or dojo, for the first time, is unsure if she belongs in karate. Her Sensei, a white crane, eases her worry by introducing her to karate through the principles. The story delivers a message that these principles, mixed with a person’s grit, are even more powerful than karate’s kicks and punches. Readers will discover that these are character traits anyone can evoke, not only on the dojo floor, but in every aspect of their life. ​If you would like to purchase the book now, please click on the "Shop" button below. In the comments section, be sure to include the name(s) you want included in your signed copy. If you are a teacher, please let me know how many students are in your class. If you are helping me celebrate at my book release party on November 12, you can reserve your copy clicking on the "Get In Touch" on the menu bar. Please send me an email that you will be coming to the event and would like me to hold a copy for you! For more information on the book release party, click on the "Upcoming Events" tab. Please check back soon to hear what people have to say about Kitten and the Dojo Code!